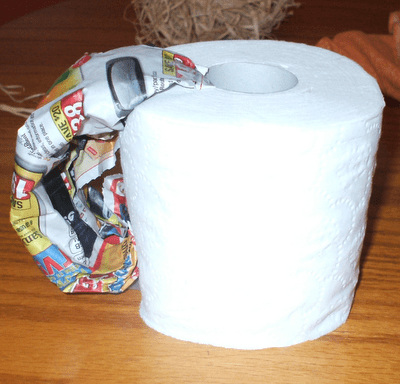 Here’s a fun, super-easy, no-sew fall craft that anyone can make. It’s dirt cheap (I made my pumpkins for less than $0.30 each!) and they last much longer than the orange beauties you’ll find in the field. 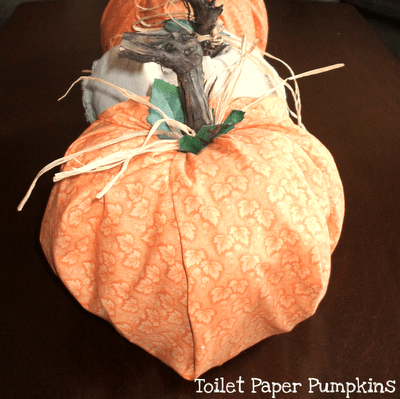 No one will believe you when you tell them these gourds are made from toilet paper! 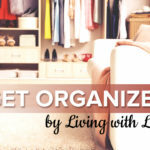 It’s the perfect activity to involove young children in too. 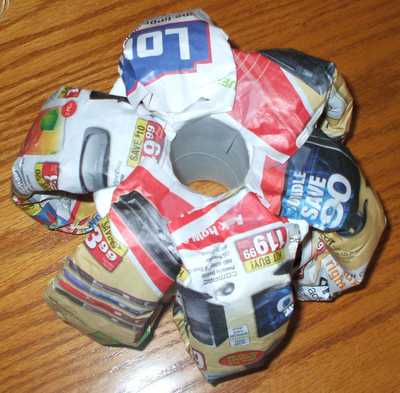 Start by rolling sections of newsprint and attaching them to the toilet paper roll with scotch tape. Attach the tape to the inside of the toilet paper tube. Continue until you’ve covered the roll with six or seven sections. 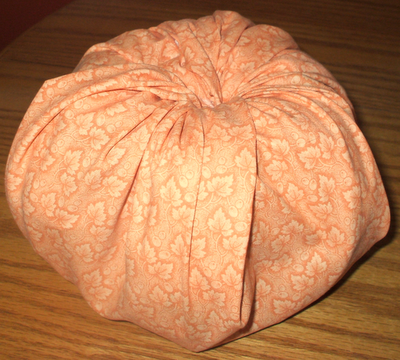 Place the roll in the center your fabric, wrong side up, and stuff the excess into the middle. 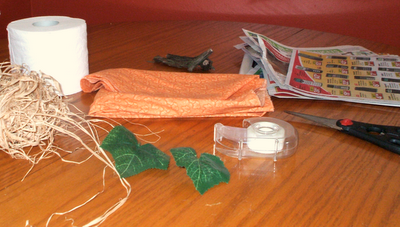 Insert the peduncle into the middle of the tube (secure with glue, if necessary), attach a few leaves, tie on some raffia and you’re done! Experiment with different fabrics for a truly unique look. 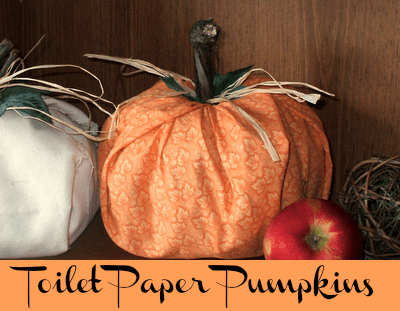 These pumpkins look lovely in corduroy, velvet, linen, and cotton. 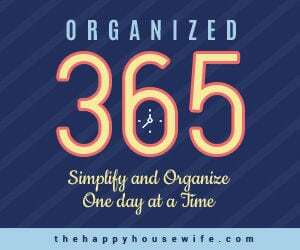 Love, LOVE this idea! My hubby’s favorite time of the year is fall and all the fall decorations. This project looks so fun to do and yet makes such a cute decoration! I’m going to share this on my FB page. Made a pumpkin and it came out so cute!..thought about adding a tiny doily on top to make it real country looking but for the top stem I used a cinnamon stick..just made two!